Lighting-Gallery-net - Incandescent - General Service 25-100 watt/Westinghouse 60w Daylight Blue quite a find. 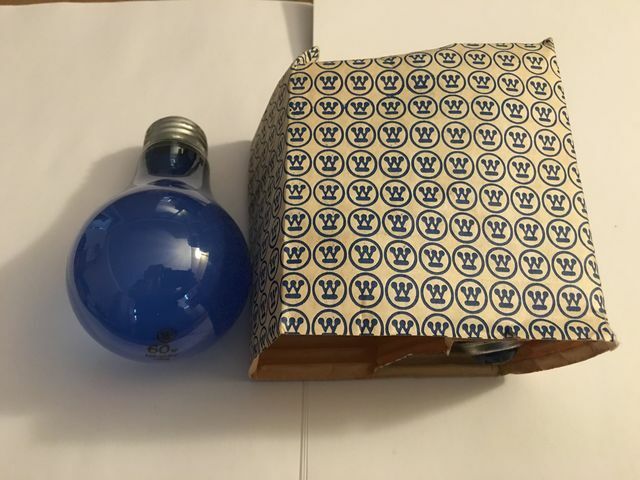 Westinghouse 60w Daylight Blue quite a find. eBay find. They're kinda hard to find. Nice find. I got a few from Webster electric when I went with VHO. Can you post a lit pic? Do these look like daylight CFLs when lit? No, not as blue as a daylight CFL. But here's a pic of it lit.